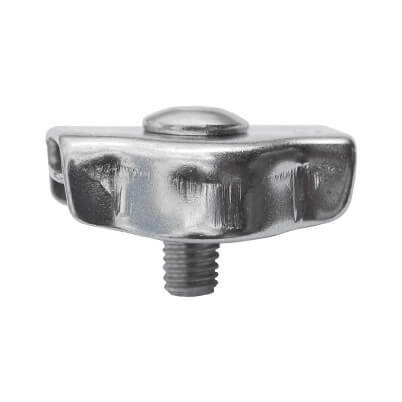 Simplex wire rope grip in marine grade stainless steel, strong and hard-wearing for highly corrosive environments, perfect for creating eyes in wire rope of 7x19 cable construction. Spanner or wrench required for installation. The Simplex wire rope grip can be used particularly with 7x19 construction wire rope which has very flexible characteristics. Simplex grips are not suitable for any 1x19 construction cables & 7x7 construction 4mm & above. Approximate failure load is 50% of the cable's breaking load. 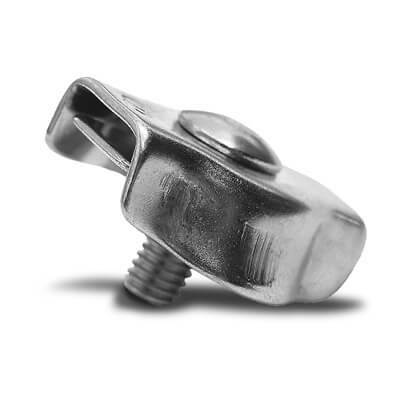 The Simplex clip is ideal for 7x19 stainless steel rope, not recommended for use with plastic coated wire rope. Prepare the wire rope ends to the manufacturers specification. 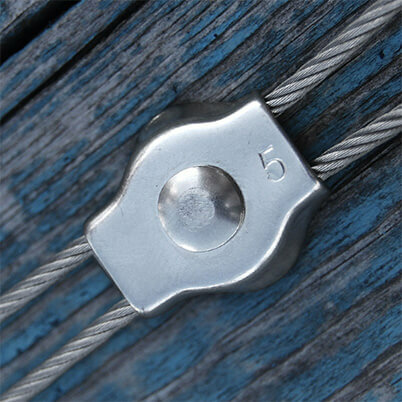 Match your stainless steel wire rope to the correct size Simplex clip. Miss-matching could result in serious injury or damage. 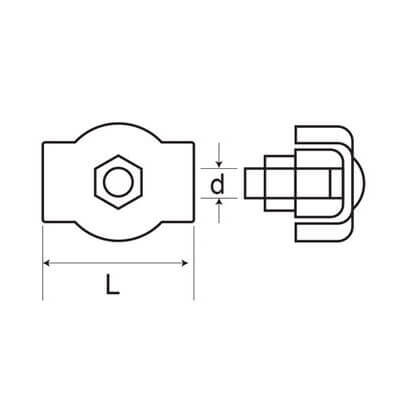 Remove the locking nuts and the fixing plate ready to accept your stainless steel wire. Pass the dead end of your wire rope through the clip on one side of the screw thread. Create a loop in the wire rope to your required size and pass back through the clip on the opposite side of the screw thread. Place the fixing plate over the screw thread to hold the wire rope securely. Using a suitable spanner to tighten the locking nut bolt. Once fitted test your wire rope assembly to check you have a secure fixing - please note that this type of loop is not suitable for lifting. Product fine but not good for the wire I chose. Well made and functions very well. Seems too simple to be able to work!! They are good if a little fiddly, look tidy and well made. A bit fiddly but as expected for 1.5mm wire clamps. Possibly would be better if the head was free, or attached to the washer, may make it less fiddly with nut applied to the current head side? Ideal for my needs; they do what they are intended to do. Excellent and ideal for those of us who don't have access to crimping equipment. Looks nice, but the simple clips are easier to use if you do not have professional tools.